The Peperomia houseplant is an attractive addition to a desk, a table or as a member of your houseplant collection. Peperomia care is not difficult and Peperomia plants have a compact form that lets them occupy a small space wherever you choose to place them. Heart shaped leaves and foliage texture similar to a waffle make growing a Peperomia like Peperomia caperata a pleasure. The attractive leaves and stems may have a silvery or burgundy tint peeking through the green. The watermelon Peperomia, P. argyreia, has silver stripes with elliptical shaped leaves. Both this and the previous Peperomia plant reach only 8 inches in height and width if planted in a container large enough to allow for root development. Plants have a mounding habit with draping leaves. Peperomia obtusifolia, the baby rubber plant, has a more upright demeanor. Some of these types of Peperomias have solid green, shiny leaves, while others are variegated with gold and white coloration. P. obtusifolia `Minima’ is a dwarf specimen, reaching about half the size of the standard. When growing a Peperomia, locate the plant in a medium to low light situation that does not get direct sun. You may also grow Peperomia plants under fluorescent lighting. 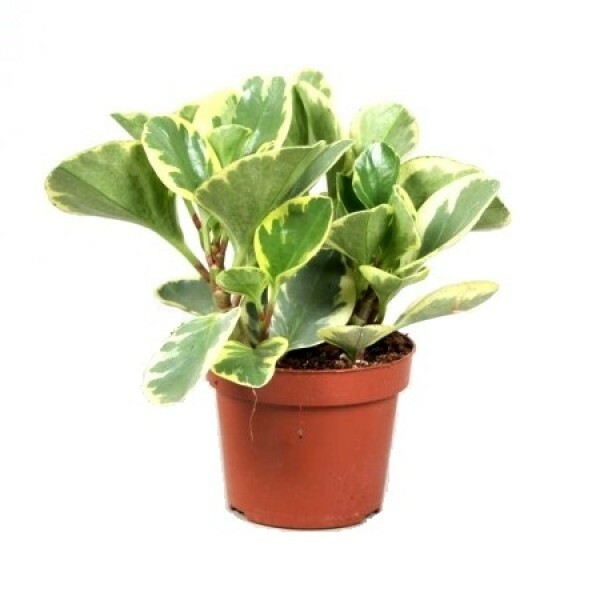 Grow Peperomia plants in a light houseplant mixture with perlite or coarse gravel included to allow roots to receive air circulation, necessary for the health and development of your plant. If your peperomia plants are wilting, in spite of regular watering, the plant is likely not getting enough oxygen to the roots. Water Peperomia houseplants sparingly and allow the soil to dry as deep as 5 inches between waterings. Fertilize occasionally with a balanced houseplant food after watering. Leach the plant in summer by flushing with water to remove the salts left behind by fertilization. Repot Peperomias in spring, but keep pots small, unless you are growing Peperomia as part of a container combination.